The Global Engineering Education Exchange (GE3) is an international exchange program that allows Drexel students to study at one of numerous partner universities abroad, fully immersed into the education, culture and daily life of their host country. The French American Exchange (FAME) program is offered by GE3 partner, Ecole Nationale Supérieure de l’Electronique et de ses Applications (ENSEA), during the spring term. Classes are taught in English by professors at ENSEA, one of the top French Engineering Schools in Electrical Engineering. ENSEA is located in the suburbs of Paris, in the university town of Cergy-Pontoise, 30 minutes from Paris. Cergy-Pontoise is a university town in the heart of Val D’oise, a dynamic and thriving community. ENSEA, together with 20 other universities share the same diverse and multidisciplinary campus. Thus it is a university town which offers a whole range of indoor and outdoor activities and facilities such as water sports on Cergy's lake, music festivals, concerts, cinemas, theatres, swimming pools, tennis courts, a skating rink, and more. With its advantageous position close to Paris and its full range of cultural and sporting facilities, Cergy has attracted a number of leading industries to establish their headquarters in the area such as 3M, Siemens, CIC, SPIE, Sagem, Peugot, Renault, Clarins, Vuitton, etc. Cergy has its own Technology Park with numerous start-ups. Students take 2 courses, plus a required research lab and French Language and Culture class. Students may select from the courses below. Review the FAME course descriptions. 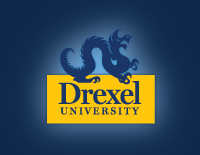 As part of the application process, students are required to have Drexel equivalent course numbers and credit approved by the corresponding Drexel department. For example, to take a CS course abroad for Drexel credit, the course equivalent must be pre-approved by Drexel’s Computer Science Department. Students are taught and graded by local faculty at ENSEA. Grades are noted as "CR/NCR" on their transcript and will NOT affect their GPA. In order to receive CR, students must earn a "C" or above. *Students must arrange to leave their fall/winter co-op early in order to participate. Options for housing will be provided by ENSEA with a list of costs and room type (single or double) sometime in November of the previous year. Each student must indicate his/her preference so that the required rooms may be booked in advance. The estimated cost for food and local transport is about 300 €uros per month. Room rates may vary from as low as 350 €uros per month to 650 €uros per month for a single. Based on availability, one one the three preferences will be selected. Review the Estimated Study Abroad Costs page for a list of approximated program expenses such as housing, airfare, local transport, and food. At ENSEA, student organizations flourish and they offer a wide variety of activities for management, personal development and creativity. Those motivated can follow their ambition to positions of responsibility in the Student Union, on the school newspaper, or through the student entrepreneurial organization.